Join an interdisciplinary workshop presented by Formlabs featuring the head and neck cancer team from Indiana University Health. Presenters from Otolaryngology, Radiation Oncology, Informatics and Computing, and Maxillofacial Prosthetics will detail their experience developing a workflow to serve the head and neck cancer population. Attendees will receive live demonstrations of facial scanning and digital design for 3D printing. Formlabs representatives will provide training on their latest hardware, software, and material offerings. The workshop will focus on small group interaction with ample time set aside for question and answer sessions. Attendees will be guided through multiple technology stations individually designed to provide a snapshot of each step in the digital workflow for 3D printed head and neck cancer patients. 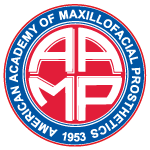 Attendees will be exposed to all essential steps in the procotol to plan and print surgical models, surgical templates, radiation bolus appliances, and molds for extra-oral prosthetics. Limited Availability! Register early to reserve your seat.